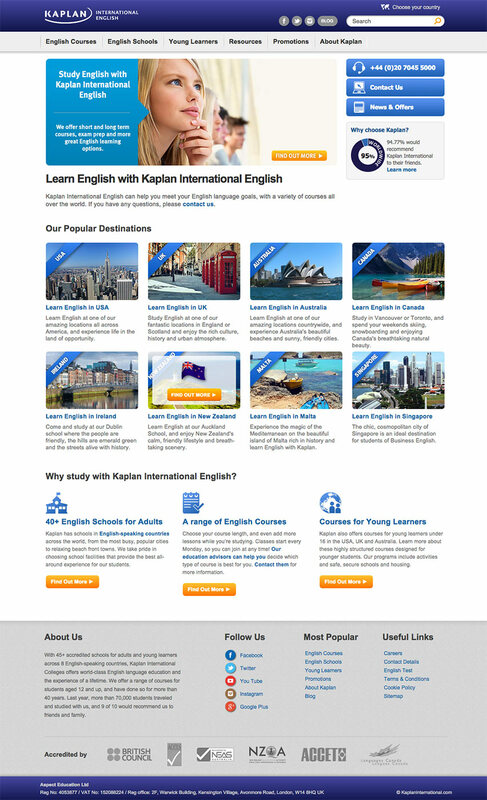 Kaplan International is a 'teaching English language abroad' course provider for international students. Working alongside the Kaplan marketing team to improve the design and layout of the website within existing brand guidelines. Also to develop and improve the design quality of their marketing materials.